Sheriff Buford Hayse Pusser, A Real American Hero! Buford Pusser was an American hero. He cast across the nation one of the tallest shawdows in law enforcement history. His daring exploits as McNairy County, Tennessee, sheriff made him a legend. As a young boy growing up in Mississippi I heard of Buford Pusser, my Wreslting hero was be compeared to him. People started call Cowboy Bill Watts, Walking Tall CowBoy Bill Watts. He was at an Autograph session at a car lot, he was very nice to me. Pusser wrestled under the name "Buford the Bull" and was a large man standing six foot, six inches tall and weighing around 250 pounds. 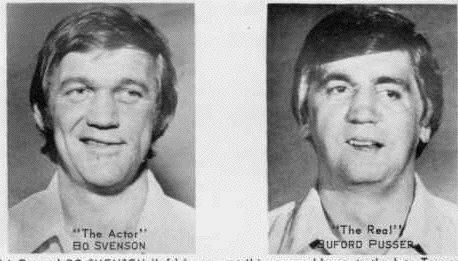 After a great deal of research I uncovered several matches by Buford the Bull in Chicago, where he lived prior to his Tennessee return and some matches in Missouri as well. He wrestled and defeated a live grizzly bear. In a rare turn of events, Pusser became more famous AFTER his wrestling career. Pusser was a rugged symbol of justice.He fought his way to world recognition.He was shy and soft spoken,he was 6'6" and 250 lbs.His war against crime bore a high price. Pusser was shot eight times,stabbed seven times,hit by a car and killed two people while he was sheriff.Pusser had many scars to show from his battles with outlaws. Buford Hayse Pusser was born Dec. 12,1937 to Carl and Helen Pusser,near Finger, Tennessee.The Pussers made their living during the Depression by working the area cotton fields.During the off season Carl worked at a local sawmill. Buford attended Adamsville Elementary School and in 1952 attended Adamsville High School where he graduated in 1956.Upon graduating from high school, Buford enlisted in the US Marines and was sent to Parris Island for basic training.However in November of that year he was given a medical discharge do to an asthma condition.In the late summer of 1957 Buford moved to Chicago.It was here that Buford began a wrestling for extra money.It was also in Chicago where Pusser met his wife, Pauline. On December 5,1959 Buford and Pauline were married, Buford was 22 years old. 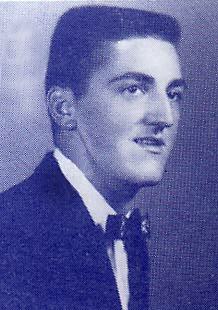 In 1962 Buford and his family returned to McNairy County and settled in Adamsville. Meanwhile, Pussers father had been Adamsville's police chief. Carl told Buford he intented to reitre due to medical problems and Carl told Buford if he wanted the position he would help him get it. After a vote from the city board, Buford was made police chief.In 1962 Buford ran for his first elected office, he ran for Constable, which was a part-time position,he won that position.However, that was not the only elected position Buford wanted, Buford wantedto run for sheriff. So, in early part of 1964, Buford and Carl began to solicit money and votes. They campaigned day and night all over McNairy County, it paid off. On September 1, 1964 Buford became Sheriff, he was 26 years old.Buford hired his father as jailer.Buford went right to work cleaning up the criminal element within the county and the 'stateline' mob that was operating illegal activities. On August 12, 1967 at about 4 am Buford was woken up from sleep by a phone call. The caller stated that there was a problem in New Hope and he should 'get out there right away'.Pusser got dressed, as he did his wife woke up and got dressed, stating that she was going with him.The Pussers proceded to New Hope in the sheriff's Plymouth. As Buford approached the Methodist Church, he was watching for signs of trouble or disturbance. Buford did not notice a black Cadillac approaching behind his car. All of a sudden Buford heard a car engine roar and a car whip up beside them. A hail of bullets smashed into the side window where Buford was throwing glass into his face. The shots missed Buford but had struck Pauline. she slumped down onto the floor ,dead.Pusser sped up to try to out run the assassins.About three miles down the road Buford stopped the car, thinking he had lost the assassins. Shortly after Buford stopped, the black Cadillac appeared firing a volley of bullets at Pusser, two of which smashed into Pussers face.Pusser was taken to a hospital in Selmer and then transferred to a hospital in Memphis.Later,law enforcement officials concluded the ambush was done by members of the state-line mob to get back at Pusser for his campaign to clean up illegal activities along the state line. Two weeks after the ambush Pusser went home.though while in the hospital his wife was laid to rest at the Adamsville cemetery.It was only a short time later that Buford launched his own 'investigation' into his wife's killing. 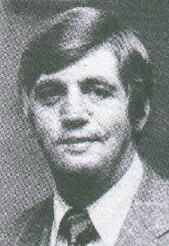 September 1, 1970 was Bufords last day of Sheriff as McNairy County.After three consecutive terms as Sheriff,Buford could not run again, state law in Tennessee prohibited anyone from holding an elected office for more than three consecutive terms.A short time later Buford began traveling around to help some politicians campaign on the Republican ticket. 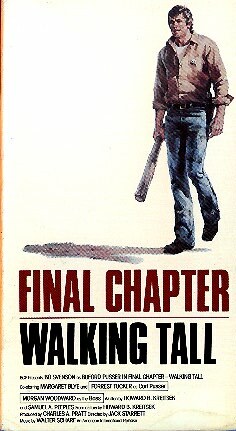 It was also about this time that Buford got a request from a producer at Bing Crosby Productions to do a movie about his life, the movie titled "Walking Tall" would star Joe Don Baker as Buford and Elizabeth Hartman as his wife. 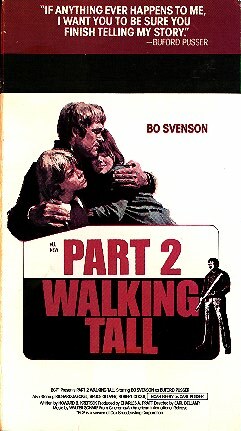 "Walking Tall" hit the theaters in 1973, it bombed ! The movie producers at Bing Crosby Productions scrambled to come up with a new promotional theme for the movie.Now, they played down the violence in the movie and hypped up that the movie was about a man who would not give in to the 'system'. Shortly after the new promotional material was released crowds flocked to the moive theater to see "Walking Tall"
Also during this time Buford ran for Sheriff of McNairy County again. Buford was going full blown to win this election, he wanted to be Sheriff again.Buford put forward a great campaign.The election ballots were counted up and Buford lost by some 700 votes. He was crushed.Buford believed it was the movie deals that hurt his election and also the fact that the movie was filmed outside McNairy county that angred some people. 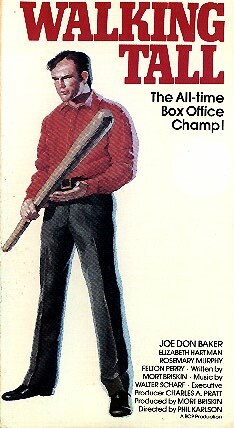 In August of 1974, movie executives held a press conference in Memphis to announce that Buford would play himself in the next "Buford" movie.About this time Buford was feeling great about things in his life, besides, he was going to be a movie star.After a day of news meetings Buford was going to the McNairy County Fairgrounds to meet his daughter there. After spending some time on the midway with his daughter and having something to eat Buford was going to head home. His daughter Dwana asked if she could ride home with friends, to which Buford agreed.Buford left the fairground in his new Corvette and travled down Rt. 64 towards home.Buford was traveling at over 100 miles per hour as he was going towards home. Suddenly, Buford lost control of his Corvette.He skidded some 300 feet across the road and slammed into an embankment. Pusser flew thought the open roof in his car and landed along side of the road in a ditch, his vehicle bursting into flames. At this time, Bufords daughter Dwana, was in a car returning home when they happened upon the accident scene. Dwana screamed to stop the car that it was her dad on the side of the road. Dwana lept from the car and ran to Bufords side, begging him not to die. Buford Pusser died August 21,1974.Thousands of mourners came to pay respects to Buford and the family.Policemen,businessmen,farmers all came. Celebraties , such as Joe Don Baker,Tammy Wynette and George Jones all came to the funeral. The funeral procession traveled through the city of Adamsville to the Adamsville Cemetery, the same route as Bufords wife Pauline had taken several years back.Buford Pusser was laid to rest right next to his wife. For More Info. 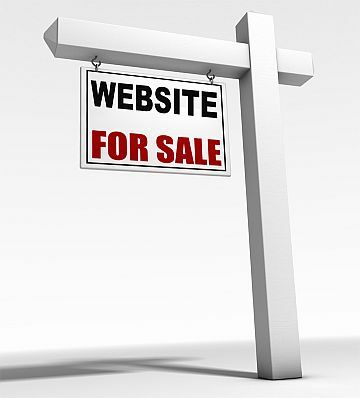 on Home & Museum, use this link above. 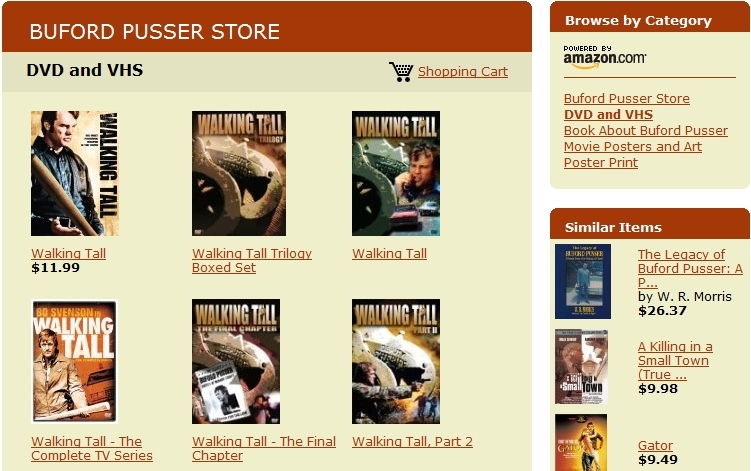 Sheriff Buford Hayse Pusser, A Real American Hero STORE ! Copyright © 2009 Buddy Huggins Productions & Extreme Midsouth Wrestling All rights reserved.